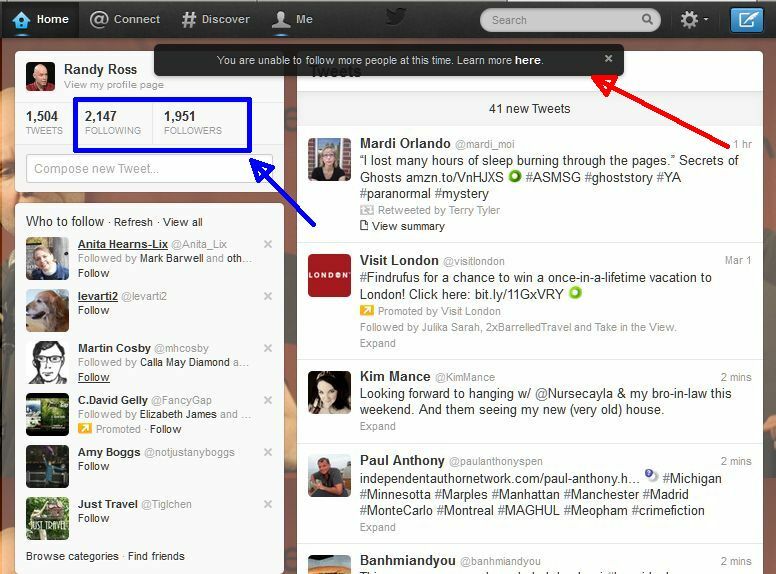 Tools and tricks for adding followers and spending more time on what really matters -- your writing. This article is for newbies and intermediate Twitter users who want to boost their platform. 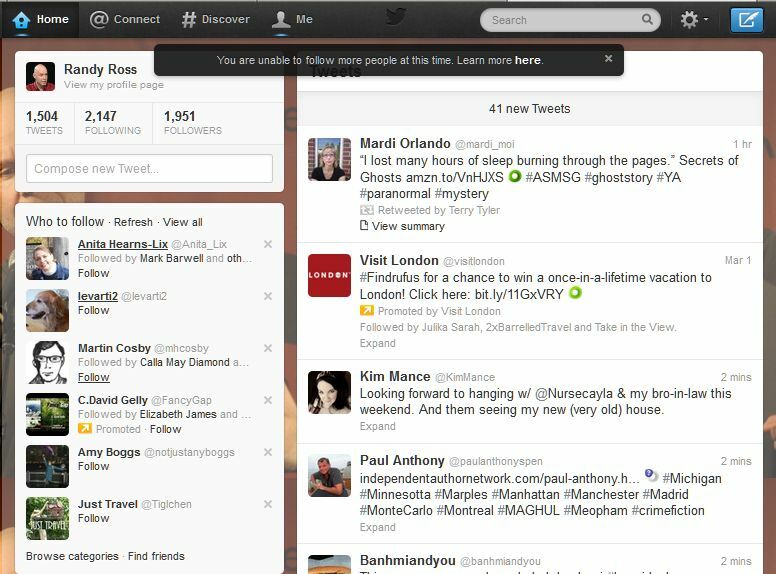 - Then, each day click on folks listed in the "Who to Follow" box on your Twitter page. 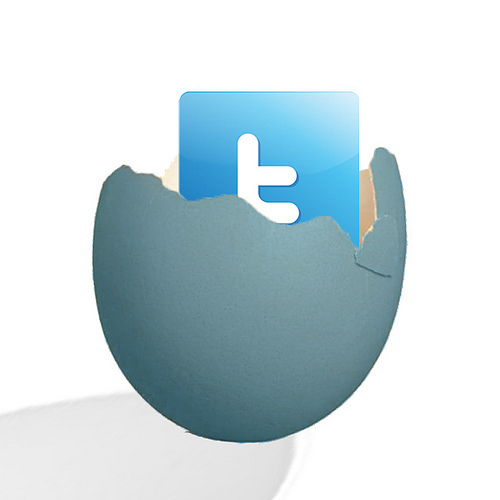 You don't want to add too many people too quickly for two reasons: First, Twitter will slap your hand. If you ignore the slap, you may lose your Twitter account. Though Twitter won't divulge it's recommended ratio of following to followers, if you keep those numbers with in 10 to 20 percent of each other, you're probably fine. 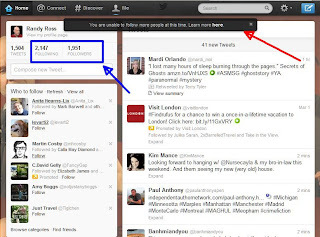 So, if you have 1,000 followers, you should be able follow up to 1,200 people without a problem. Also, if you follow a lot of people and have few people following you, you look like a loser and may have problems getting people to follow you back. - Dump useless followers. Twice a month -- or whenever I get a nasty note from Twitter about following too many people -- I use ManageFlitter to dump people I'm following who are not following me back. The free version allows you to dump up to 100 people a day. 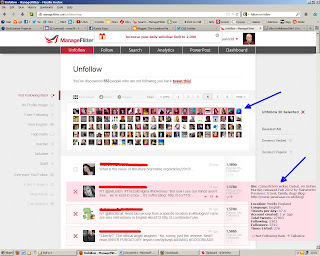 Though there are other free apps, such as FriendorFollow, I found ManageFlitter to be the easiest to use. Add too many followers too fast, and Twitter will slap your hand. 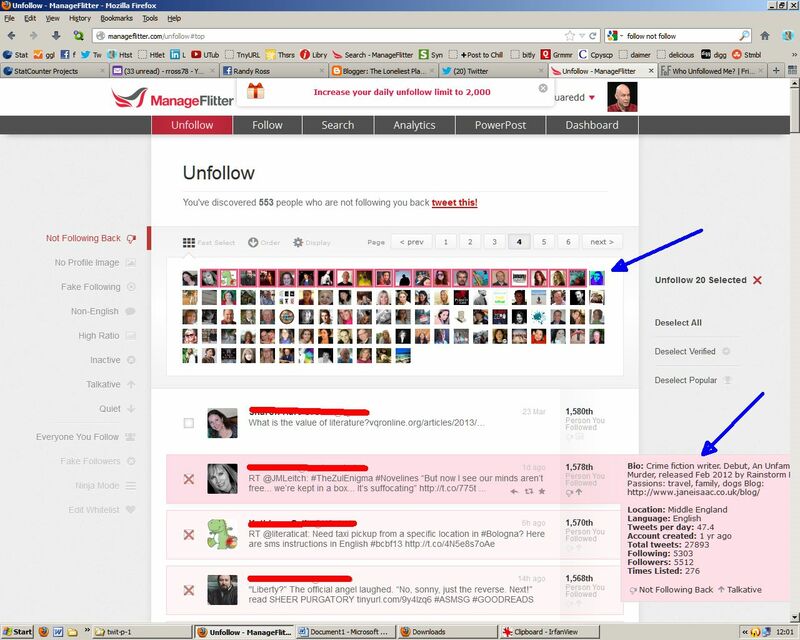 ManageFlitter offers a free, easy way to dump people who are not following you back.It also provides details on people, so you can think twice before giving them the heave ho. There are numerous Web sites and schemes for adding lots of followers using follow back services. 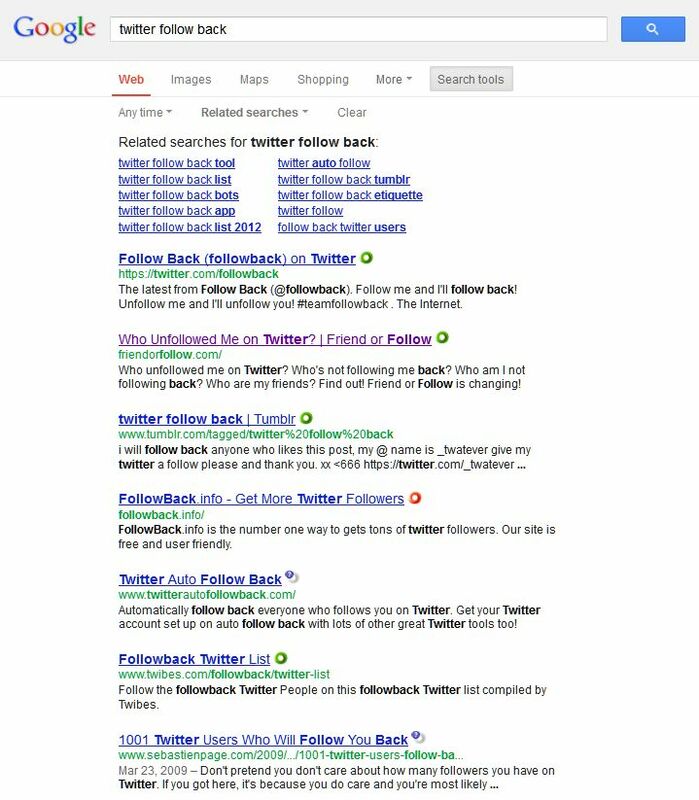 Google "twitter follow back" for a list. The problem with follow back schemes: you may end up with a lot of useless followers -- people who not interested in your writing, but only interested in boosting their numbers. 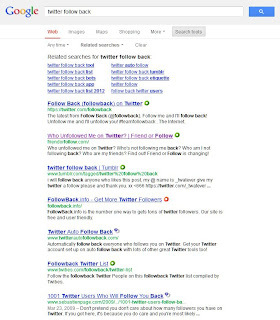 A search on Google for Follow Back services and sites. These sites also offer follow back for adding Facebook Fans and blog followers. Personally, I think these services are a waste of time. My experience: I once used a follow back option on World Literary Cafe, a site for writers. It turned out to be too much work, so I abandoned it. (You're supposed to visit the site and follow a bunch of folks, who then follow you back. You're also supposed to mention World Literary Cafe when you follow folks.) The other problem with the site: if your audience is not writers, you'll be adding a lot of useless folks, which negates future use of strategy listed above in "Tips for Adding Followers." 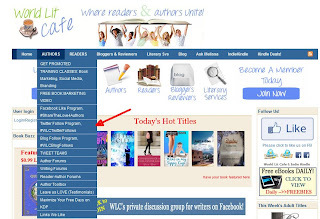 World Literary Cafe offers follow back options Twitter, Facebook, and even blogs. This article discusses general strategies for making money as a creative writer, offers inspiration to keep going, and includes one writer's personal plan for the next 12 months. I've also included an unpleasant dose of old-school reality. - You need to determine if the writing you love is going to be a nice hobby or a real job. - To do that, you need objective third-party confirmation -- from people other than friends or relatives -- that you've got talent. - For most creative types, if you do what you love, the money will NOT follow. 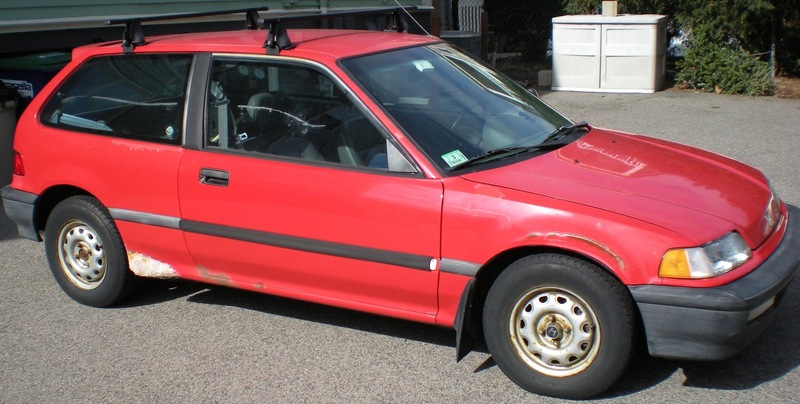 Note: The photo above is my car, which is now old enough to buy its own beer and cigarettes. Keeping this babe-magnet for 20 years has allowed me to save a lot of money on transportation. - Winning a significant writing contest, grant, or award. - Getting published in significant magazines and top-ranked literary journals. - Being chosen for a prestigious fellowship or residency for writers. - Finding an agent and mainstream publisher. - Self-publishing and selling lots of books. I have tried -- or plan to try -- all of the above. To date, I've had enough success to delude myself, but not enough to pay for a bag of groceries. - I've also sent stories to literary magazines. Though none of the major ones took my stuff, several smaller ones did. Also, I was a finalist in a small, local fiction contest that had "dozens of entrants." I received no money, but my piece appeared in two very small literary journals. Upshot: Theoretically, I can say I'm a published fiction writer. However, the small business expert told me to quit noodling around with publications no one has heard of. Agreed. - Recently, I pitched a one-hour, one-man show based on my novel to two fringe theater festivals. I was accepted to both festivals, but I'm unclear how selective they are. One festival chose entrants using a lottery system. The other will cost me $700, but I'll get to perform five shows over a two-week period. Fringe theater festivals look for new and/or experimental performance pieces. They also give out awards and you have the opportunity to earn money from box office receipts. A list of fringe theater festivals. There are a number of strategies for funding your writing. None are easy. 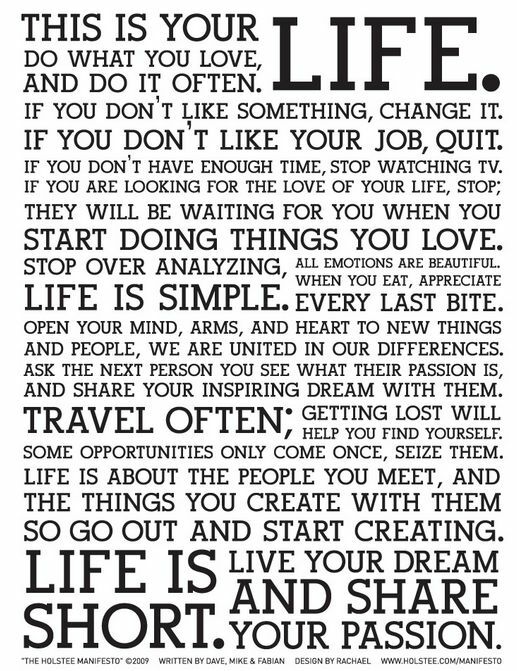 I believe this is what writer Richard Bach did. I remember reading something in one of his books about him working odds jobs, saving money, quitting the jobs, writing until the money ran out, and repeating until his first book, Jonathan Livingston Seagull, took off (pun intended). 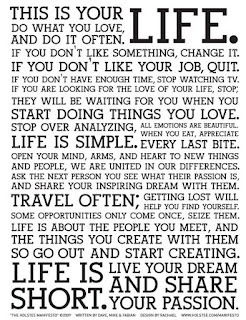 But according to What Should I Do with My Life by Po Bronson, once people start making decent money, it becomes tough to quit a job. That was my experience. I had always wanted to write a novel, be a stand-up comedian, and do a bunch of other impractical things with slim odds of making money. But I had a nice editing job at PC World magazine with a nice title, a nice salary, working with nice people. I'd probably still be there, if I hadn't gotten laid off after 15 years in 2007. Note: Quitting a full-time job is particularly difficult if you're single. One bit of advice from Bronson's book: Get used to being alone. Since I started working on my novel five years ago, my dating life has gone down the tubes. It seems many women my age are not impressed by 50-year-old dreamers. Other don't seem to be impressed by my car. (I have plenty of other issues. For a full accounting, see "Why I'm Over 40 and Still Single.") These days, I frequently go 24 hours without talking to anyone except the check-in clerk at my gym. I have several writer friends with generous spouses. I'm still looking. Other friends are living on family money. Several others are veterans who receive free healthcare. All of us are on tight budgets, rarely eat out, and most drive cars like the one in the photo at the top of the page. 3) Work part time, write the rest of the time. This is also tough to do in the current economy. Making a living as a freelancer often means you have little control over your schedule and can't turn down jobs that come your way. In 2009, I lucked out and found a two-day a week Web marketing gig. The job was every Monday and Tuesday -- which left me three to four days to do what I wanted. It paid $35/hour and the guy I worked for was a pleasure. To finish my novel, I needed extra time, so last April I quit this job. 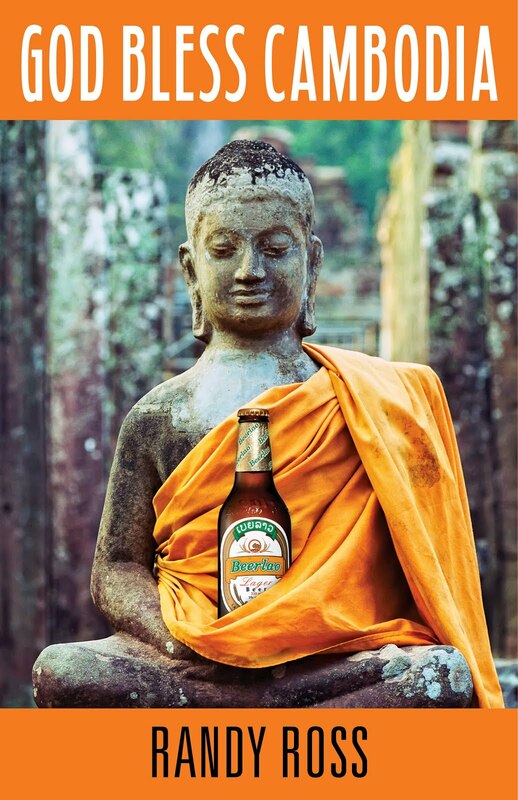 4) Work full time, write in spare time. I don't know how people do this, but they do. And they finish books. I don't have the discipline to pull this off. 5) Develop more outlets and revenue streams for the work you love. 1) Self-promotion advice for writers. 2) Humor and naughty fiction. Here are ways I could make money with each product line. - Google Ads on this blog. I'm currently earning $10 a month. (If you click and ad, I get some dough. ) If I can increase my page views from the 3,000 a month I get now to 30,000, I'll make some money. Odds of making real money: slim. - Ebooks: Self-publish excerpts of this blog as Kindle Singles, write an ebook on self-promotion for writers. Odds of marking real money: no idea, but probably slim. - Teach/Lecture at local adult education centers, colleges, any place that will take me. So far, this looks promising. I approached several instutions in Boston and am scheduled to teach seminars or be on panels. The pay rate is low: $20 per hour of teaching. One of the panels will pay around $200. This is also a good way to promote my blog and ebooks. Odds of making real money: best option, depending on your definition of real. - Ebooks: I'll repackage and self-publish my writing into three ebooks: humorous erotica, weird travel tales, excerpts from my novel. I've been selling the novel excerpts off my site using Paypal. Odds of making money: longshot. - Readings and Performances: I'll pitch more fringe festivals, colleges, and any venue that will have me. Also, a good opportunity to sell ebooks and printed booklets of my writing. Odds of making real money: best option. - Getting a book deal with an advance. Odds of this happening or me making real money: Ha!